Yesterday, a few friends and I decided to go on a little birding excursion before the big snowfall set in. We've heard about a few owls in the Lindsay area, so decided it might be a fun place to go, especially since Ariel had never seen a Snowy yet! We started by going through a few backroads to see if the Barred Owl I had seen the other week was still there. I wasn't, but Allie did notice a Pileated Woodpecker fly by! We then went to Emily Provincial Park to go for a short walk and see what was there. Which....was almost nothing! It's a little eerie walking around a beautiful forested provincial park and barely even hear a peep from a chickadee! Luckily, we did find a few chickadees in some cedar and also spotted a juvenile Bald eagle off in the distance. We walked out onto the Pigeon River which was very frozen now, and watched some people Skidoo by us. For such a tiny park, it took us quite the ways to get back to our car! One word of advice for anyone planning on going on hikes this time of year....be prepared to jump into a snowbank!! We had to almost twice for people skidooing around corners way too quickly. Oie. 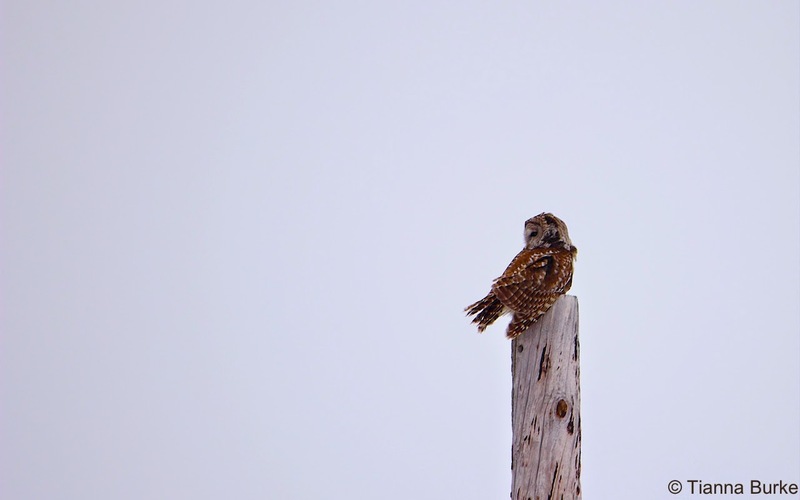 Slightly embarrassed by our lack of ability to find almost a single bird, we drove straight to Lindsay Airport in hopes of beefing up our egos a bit. 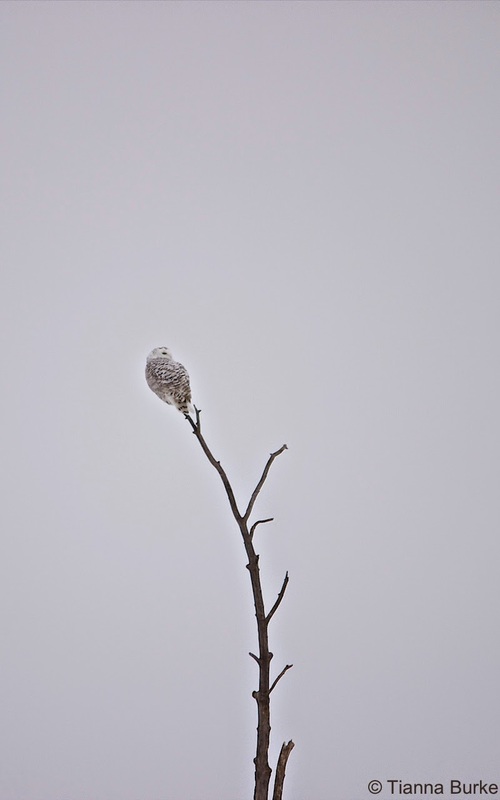 Luck was on our side, and a beautiful Snowy Owl was sitting up in a tree. I believe this is actually the first Snowy that I've actually seen in a tree! We stepped out of the car to take a few photos, but unfortunately it was so cold that we didn't want to be standing outside for too, too long! 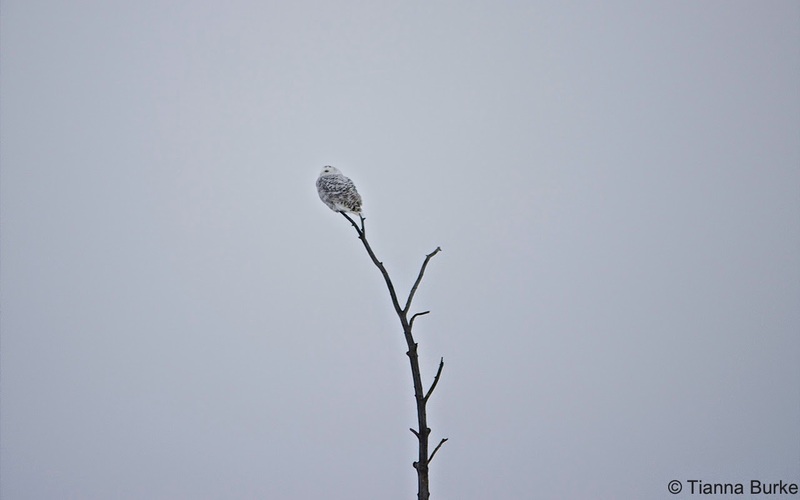 After our Snowy, we drove around the corner to a location where a Barred Owl had been seen a few days before. It wasn't in the place where it had been listed so we turned around at the TSC and parked for a second to see where to go next. You know that feeling you get where you just...look up? Well, I looked up, and there it was! 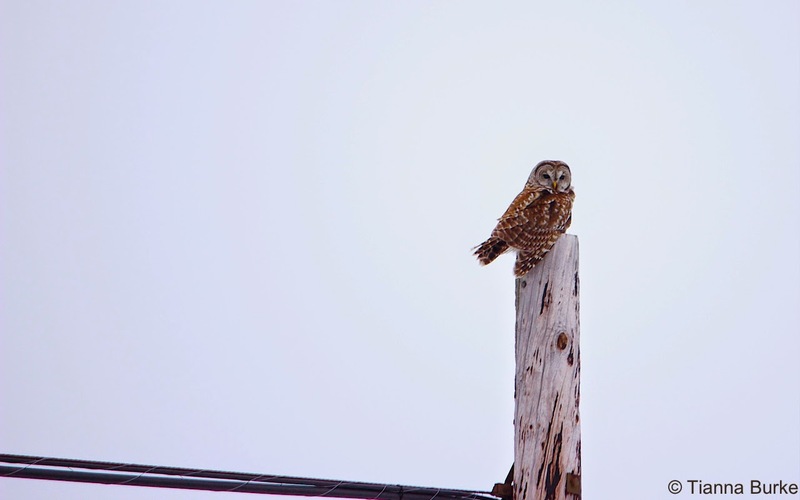 A beautiful Barred Owl was just sitting on top of a hydro pole right beside the parking lot! It's wing was sitting a little funny, but thankfully after a few minutes it flew away with no apparently issues. We think we may have seen another Bald Eagle, however it was flying off in the distance and by the time I was able to drive to a more visible view point...it was gone! It's never a true birding trip without the illusive bird, right? Until next time, happy naturing!